It’s always best to start at the beginning! Your tour’s first stop is at the Fountain of Youth, where you be asked to drop all inhibitions and to remember your childhood. You may even get the chance to play one the roles of Dorothy's trusted companions or the wicked witch that she meets throughout her journey. With Dorothy as your guide, you will skip down the yellow brick road through the magical Land of Oz™ to help her search for the wonderful wizard during this interactive experience. During Journey with Dorothy - you don’t just watch Oz, you're a part of it! Yeshttps://highcountryhost.com/images/events/TourswithDorothyBeechMountain.jpgTours with DorothyTours with Dorothy2019-05-312019-06-28Beech Mountain, NCBeech Mountain, NCIt’s always best to start at the beginning! Your tour’s first stop is at the Fountain of Youth, where you be asked to drop all inhibitions and to remember your childhood. You may even get the chance to play one the roles of Dorothy's trusted companions or the wicked witch that she meets throughout her journey. 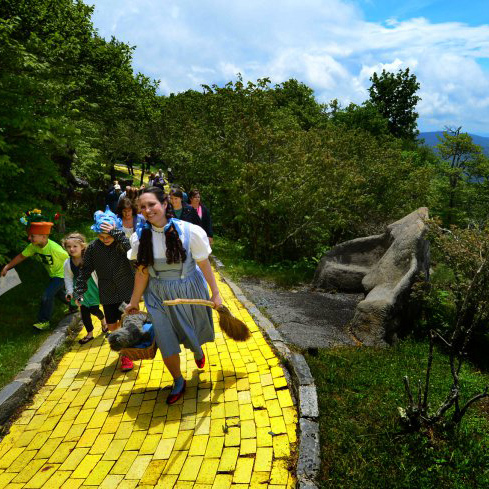 With Dorothy as your guide, you will skip down the yellow brick road through the magical Land of Oz™ to help her search for the wonderful wizard during this interactive experience. During Journey with Dorothy - you don’t just watch Oz, you're a part of it!